The dawn of the Age of Ultron is upon us, with Marvel’s next crossover blockbuster team-up extravaganza hitting screens worldwide early next year. 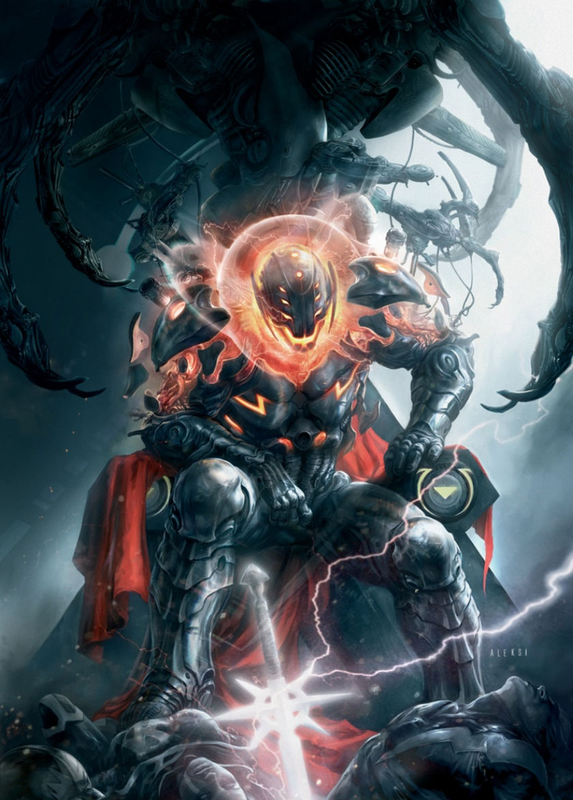 But since Ultron is not a villain who is well known among the mainstream audience, like Joker, Magneto, Lex Luthor or Venom for example, I think its time for us to give this computerized conundrum the time of day and a special indepth look. Does Ultron have what it takes to get into the bad guy A-list after the movie, is he even a threat to Earth’s Mightiest Heroes and does he stand for a real world fear that is more current now than ever before? Read on to find out. Where does Ultron come from? Ultron’s first real appearance was 1968 in Avengers #55, after he initially appeared in Avengers #54 in disguise. He leads the Masters of Evil against the Avengers, while also brainwashing Jarvis (who is a real butler in the old Avengers comics and not an Artifical Intelligence computer voice like in the Iron Man movies). Created by Roy Thomas and Steve Buscema, the character was heavily inspired by villain Mechano from the older Captain Video and his Video Rangers sci-fi television series from the late 40s and early 50s. 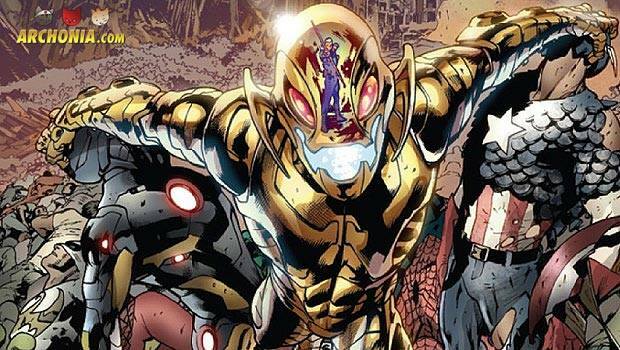 Originally he was called “Ultron-5 the living automaton” and they did not decide on an origin for him until Avengers #57-58, when it was finally revealed Ultron was not only the maker of Avenger Vision but also the creation of Hank Pym, one of the first Avengers. 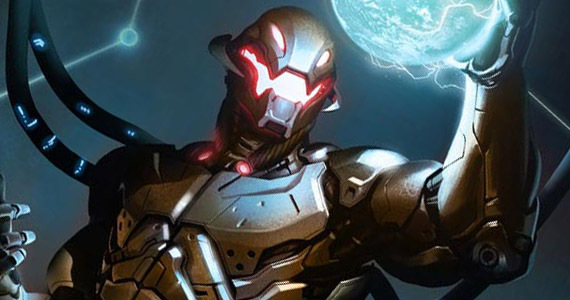 Ultron’s connection to Hank Pym (the original Ant-Man in the comics) stems from the fact that his creator programmed Ultron’s Articifial Intelligence (AI) after his own brain patterns and personality, but something went wrong. The AI rebelled and developed something of an Oedipus Complex against his creator, wanting to kill his “father” and take his “mother” (Hank’s wife Janet van Dyne) for himself. He even went so far to create a new kind of android, which he called a “synthezoid”, to use against Pym and the Avengers. This android turned out to be the Vision, which turned like its creator on its own creator and became an important member of the Avengers since. 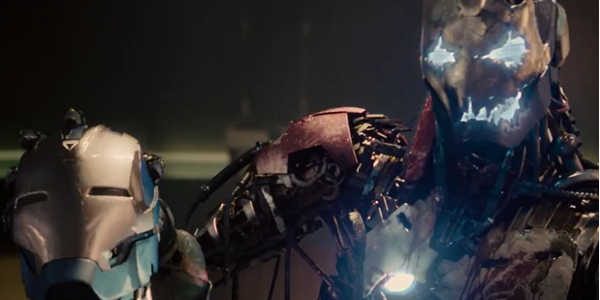 But even that set back did not stop Ultron from coming back. Ultron is not only a threat to earth, but to the whole universe. He proved that when he took the cybernetic alien species Phalanx under his wing and tried taking over the whole of existence, and all of that… after having supposedly died at the hands of the Avengers before. Then only an alliance of some of Marvel’s most powerful space heroes could take him down (Guardians Star-Lord and Gamora, Nova, Quasar, Ronan and others). Since the character is a computerized AI he is more or less un-killable, which leads to the fact that every time the Avengers have beaten him, he came back stronger and updated. Like Ultron-6 for example, which build his whole body out of adamantium (Wolverine’s claws and bones have an adamantium coating as well, just as Captain America’s shield). His reinvention even went so far that he became a female version of himself, which looked like a cyborg version of the Wasp to further mock his “father”. Next to that he has super strength, flight, optic beams, superhuman stamina and speed, genius intellect, mind control, self repair (the robot version of a healing factor) and the ability to build and control drones that look like him and have similar powers. Wheeeew. The character has been a major threat for the Marvel Universe for the last 5 decades and is still an important villain today, which is only going to increase further after he has his first live action appearance in “Avengers: Age of Ultron”. The movie however has nothing to do with the recent Marvel Event of the same name, which is a different story entirely. Ultron is a great villain because, like so many of his great peers, he actually stands for a real world fear (Joker for example stands for chaos and madness outside our control). This fear, is The Technological Singularity hypothesis which is coming closer and closer the more advanced our technology gets and the smarter our phones, tablets and gadgets are becoming. It is the fear of our technology advancing beyond the point of our own intelligence, beyond the point of our own control. What if your phone becomes so smart and self-aware that it gets self-conscious and starts to loathe you? Next time you’ll use the navigational function it might lead you right into a trash compactor or down a cliff instead of to IKEA? No seriously. The thought of losing control of something that influences our lives more and more each year is a terrifying thing. The thought of it actually wanting to harm us even more so. Scientists currently predict the singularity actually taking place around 2040 at the latest. Ray Kurzweil, director of engineering at Google and computer scientist says that “We will successfully reverse engineer the human brain by the mid 2020s. By the end of the decade, computers will be capable of human level intelligence”. What when they actually surpass our intelligence? That weird feeling of uncertainty, maybe even a small sliver of fear in your head right now… that is what Ultron stands for. Don’t worry, that’s still far off, but you can get a sneak peak at the problem in May 2015 when “Avengers: Age of Ultron” hits theatres worldwide. But how is this movie version of Ultron played by James Spader going to differ from the comics version we just talked about? Well, from what we’ve learned so far, his origin seems changed in the movie. Hank Pym has not featured into the Marvel Cinematic Universe at all at this point and that will not change until “Ant-Man” is going to arrive after “Age of Ultron”. Therefore it would not make much sense to have Pym be Ultron’s creator here, because there is not enough connection between the audience and a character that has not been introduced yet. But how can we have Ultron without its creator? Hmm… I wish the Marvel Cinematic Universe would already feature prominently a sort of tech-wizard kinda character, who is know for building AI and… let’s say robot suits? That’s right. The first trailer makes it look like Tony Stark, mister Iron Man himself, the centrepiece of the MCU, is going to be the creator of Ultron here and not Hank Pym. Raging continuity fanboy complaints aside, the decision makes perfect sense in the movies, because Tony is by far the audience favourite in the movies, which in turn is going to create a far more personal story for the film when the big hero actually causes the creation of the villain. The trailer also showed a lot of Ultron’s powers from the comics in action, just as his drone army, which look like hijacked Iron Man suits. All in all a pretty cool variant of the character which sticks close enough to the core concept and changes it only so far to better fit the universe of the movies, which is what an adaptation into another medium (comic to film) is all about. So if you now know a little bit more about Ultron and look at your smartphone with a slight tingle of mistrust I have done my job. To handle all that time to wait for Age of Ultron to drop you might wanna check out these Ultron focused books to read further up on him. As I said before, the comic “Age of Ultron” has nothing to do with the story they are going to tell in the movie, even if they both have the same name, so don’t be afraid of spoilers and dig right in. I am going to turn my laptop off now. It kind of looks at me funny. Previous Post : Geekly News Round-up! Last weeks headlines you can't miss! Next Post : First Marvel's Ant-Man Trailer is online!